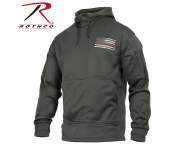 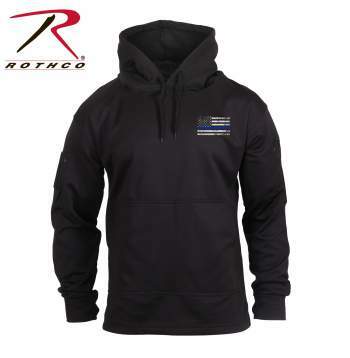 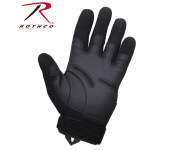 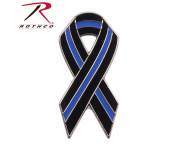 Rothco’s Thin Blue Line Concealed Carry Hoodie is made of comfortable 100% polyester performance material and features a large pass-through kangaroo pocket with an access point beneath for optimal concealed carry. 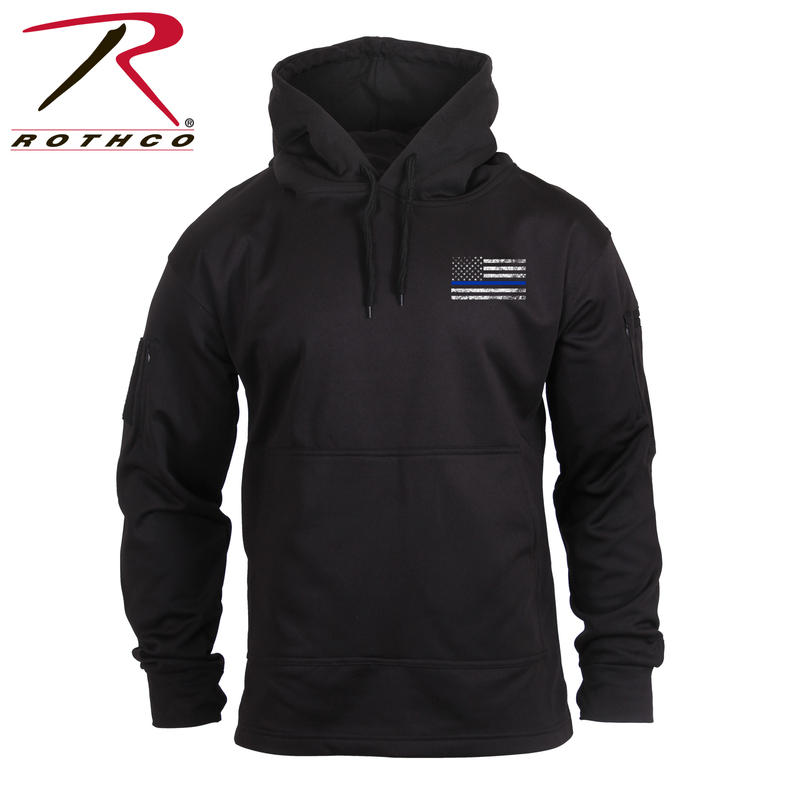 Rothco’s Thin Blue Line Concealed Carry Hoodie is made of comfortable 100% polyester performance material and features a large pass-through kangaroo pocket with an access point beneath for optimal concealed carry. 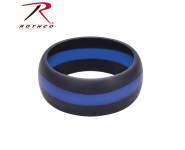 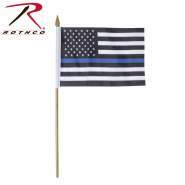 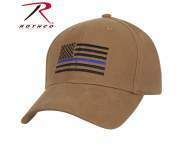 Distressed Thin Blue Line flag print is displayed on the front left chest and on the back. 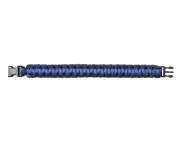 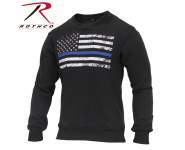 Both sleeves of the Thin Blue Line flag sweatshirt possess a 4.5" x 4.5" zippered pocket and thumbholes in the cuffs to prevent sleeves from riding up. 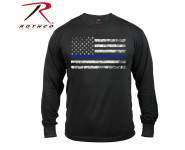 A 4” x 4” loop patch is located on the right sleeve and 2 pen pockets are located on the left sleeve.